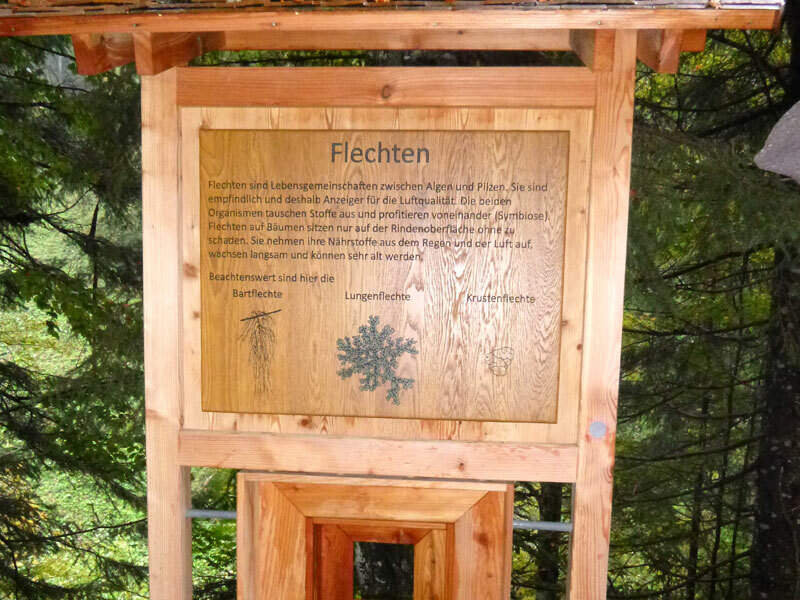 Our highest lying Nature Experience Path can be found in the Allgäuer Hochalpen Nature Reserve, in the Hintersteiner valley. The geologic teaching path provides a lot of interesting facts about the origin of cliffs and stone. 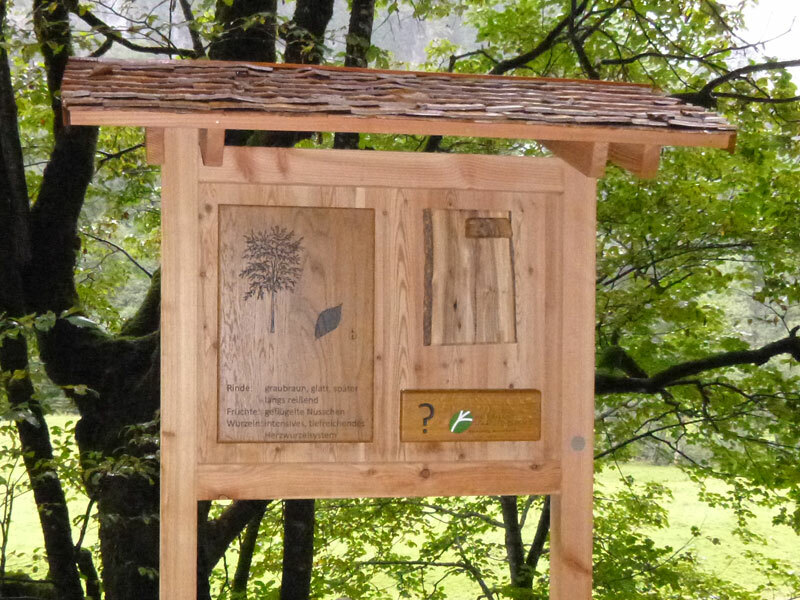 Themed stations like 'sustainability', 'wood and water', 'protective function of the forest' or 'mountain forest' explain in simple texts and pictures the ecological functions and connections in the Allgäuer Hochalpen Region. A "lichen telescope" directs the viewer's gaze at the role of lichen in nature. 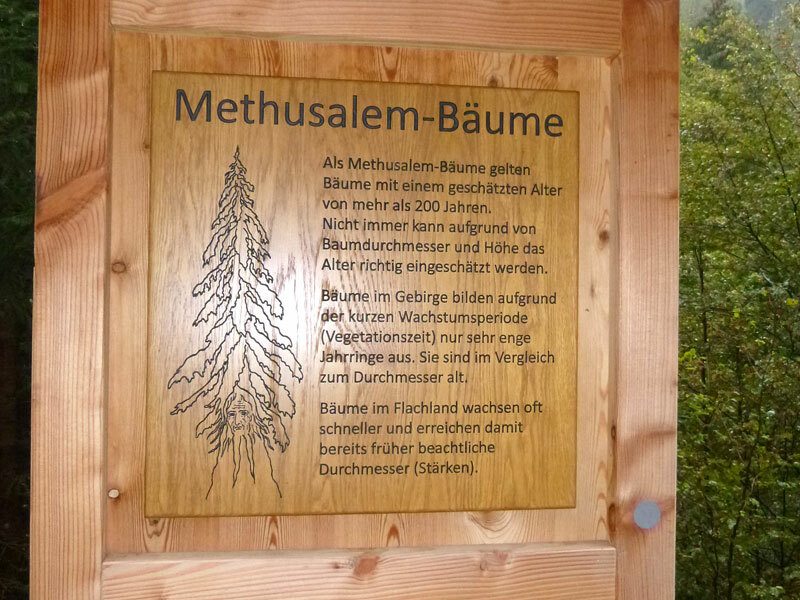 With the help of plaques explaining tree types, the visitor learns to distinguish amongst other things, the elm from the sycamore and the spruce from the fir. A guessing board-game deepens the knowledge acquired here, with lasting effect. 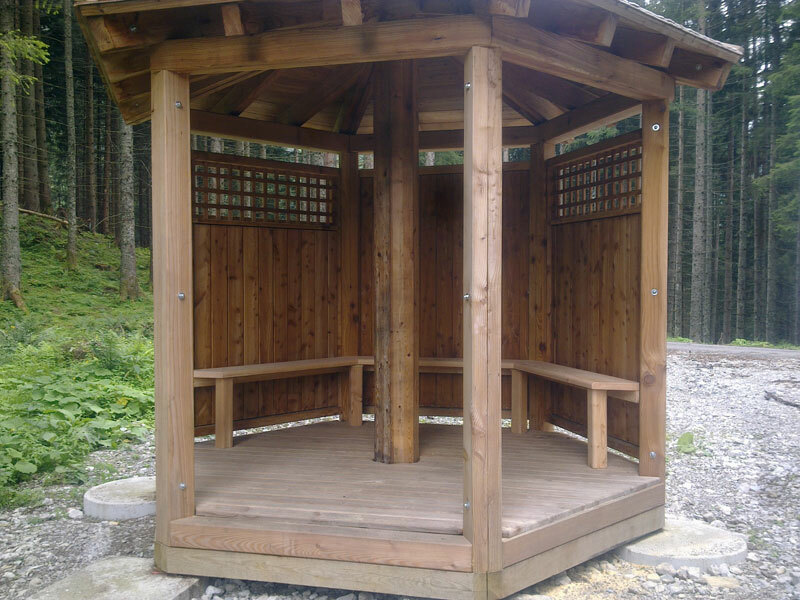 A pavilion made of massive larch timber, invites traveler to rest and enjoy.